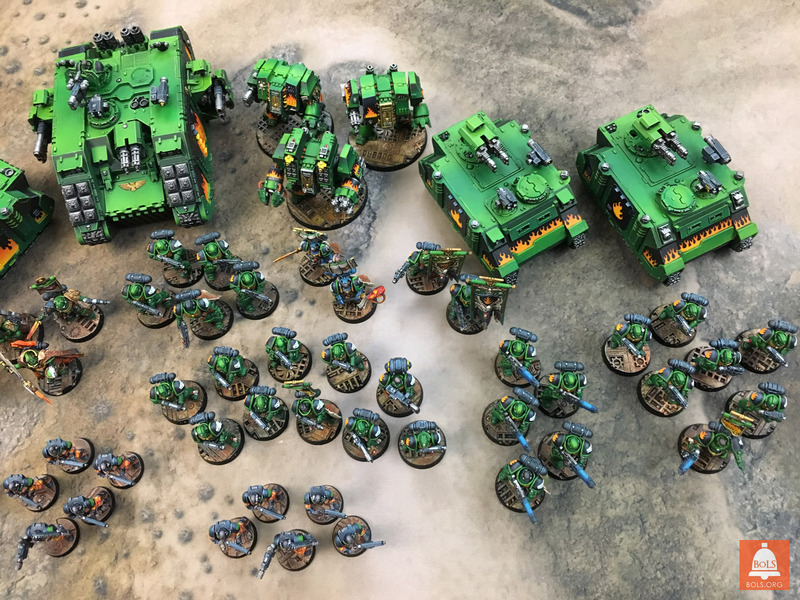 Get ready for one of the best Salamanders armies you’ve ever seen! 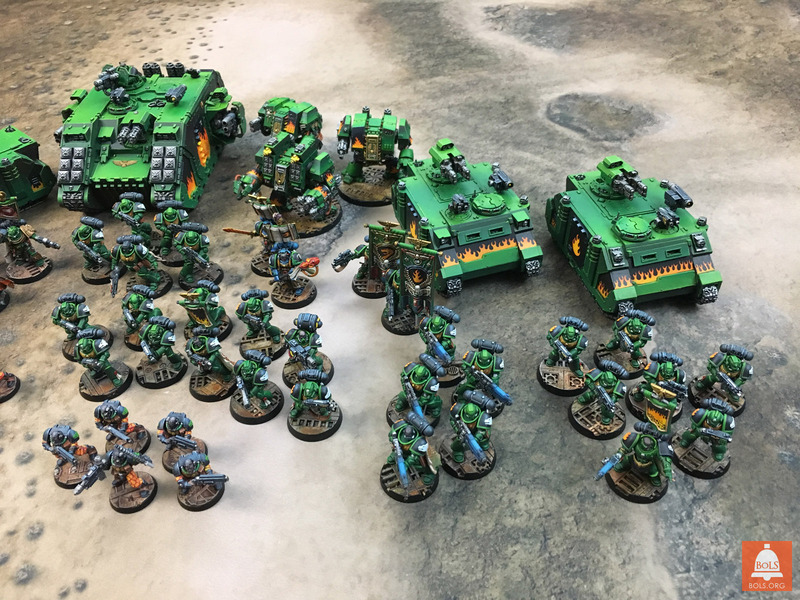 “This is my first 40k army in ten long years! 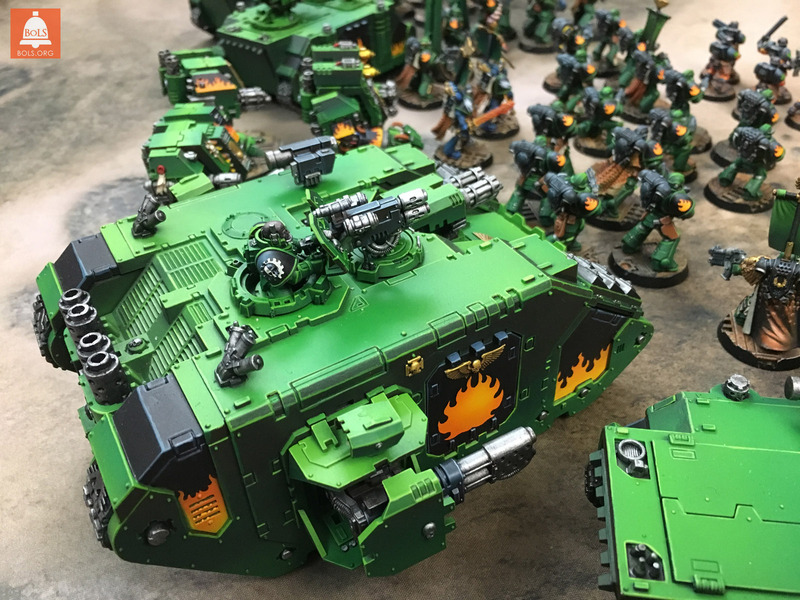 I came back to Games Workshop since I liked a lot of the changes to simplify 8th edition. 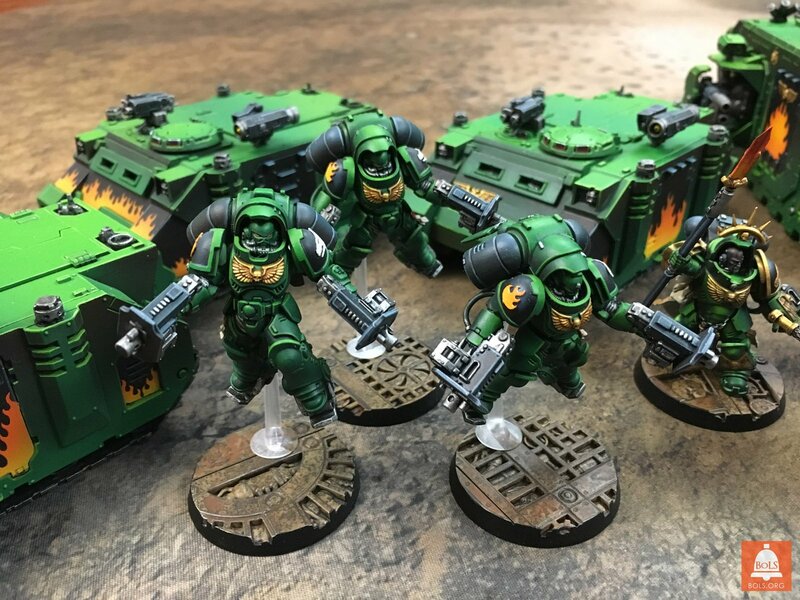 I had a lot of Space Marines left over from some commissions many years back so I decided they would be the core my new army. 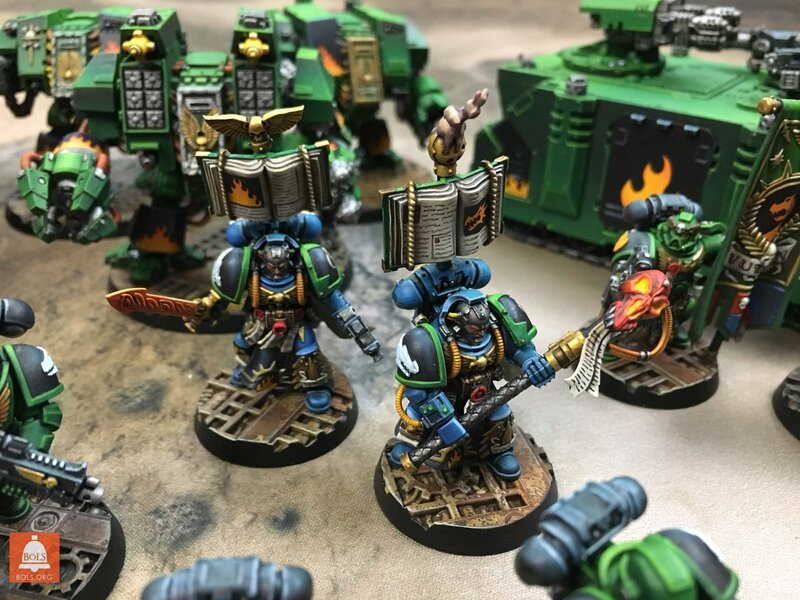 At first I thought I’d make up my own chapter but let’s face it… no one wants to hear you talk about your custom chapter. 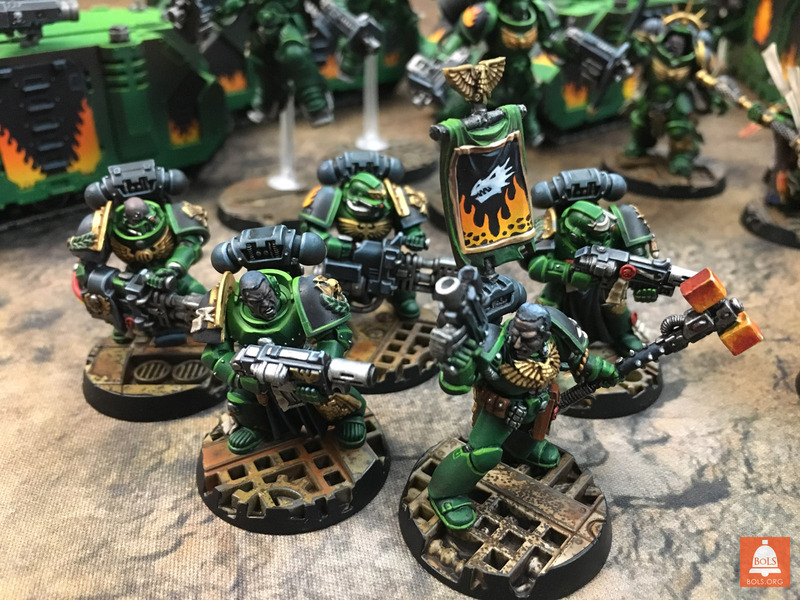 Then I thought I would do Dark Angels but they can’t use Centurions and a box of those was one of my first purchases (unfortunately before I looked at their points cost – yikes). 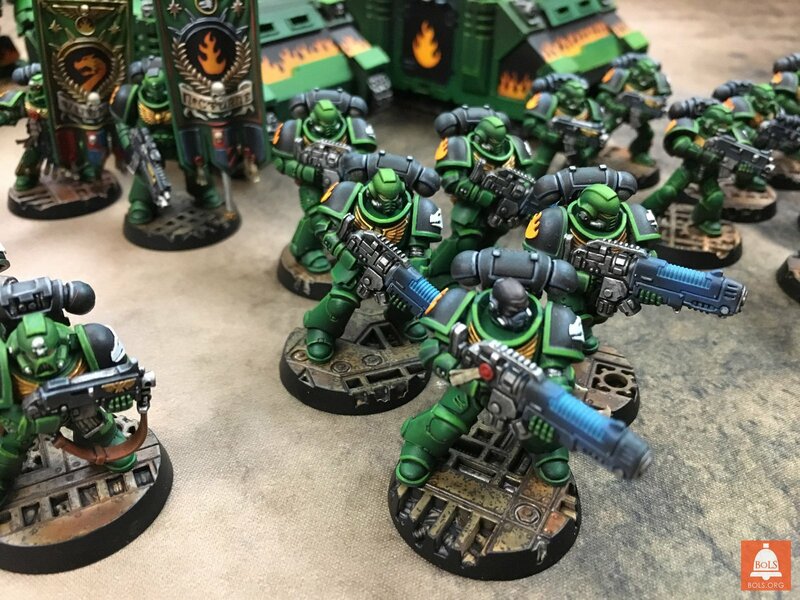 That really just left the Salamanders. 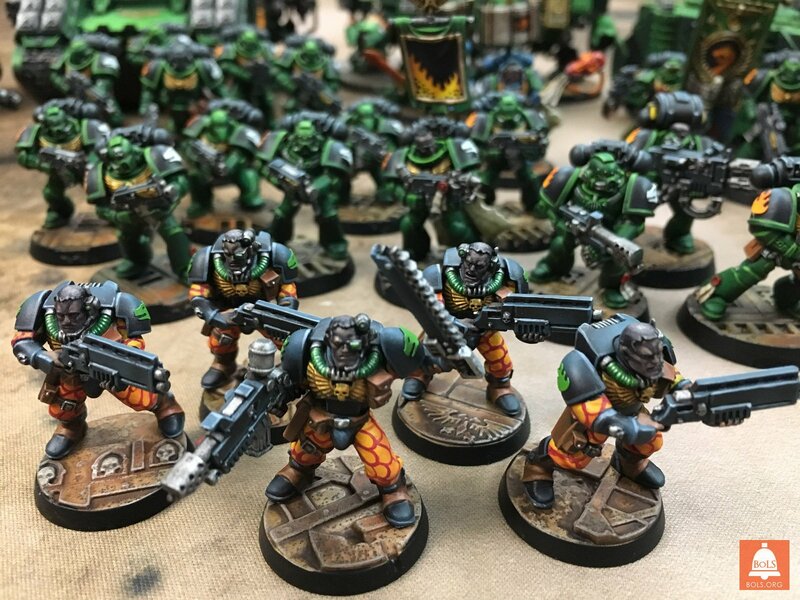 I wanted to start an army of them back when Codex Armageddon came out, but I was still in college and didn’t have the time or the money. 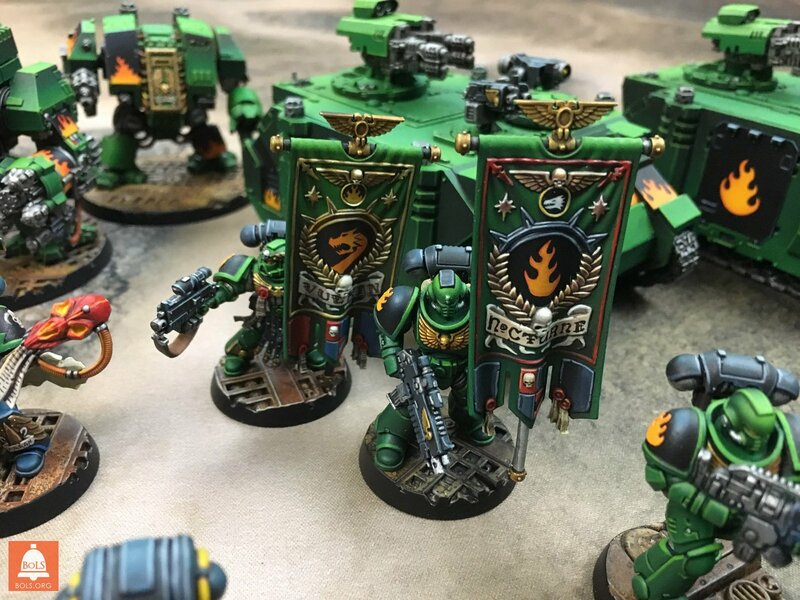 Now suddenly all these years later they had one of the best chapter tactics in the new Codex. Yes that did influence the decision a little. I also liked the fact that they had a lot of potential for little conversions here and there. 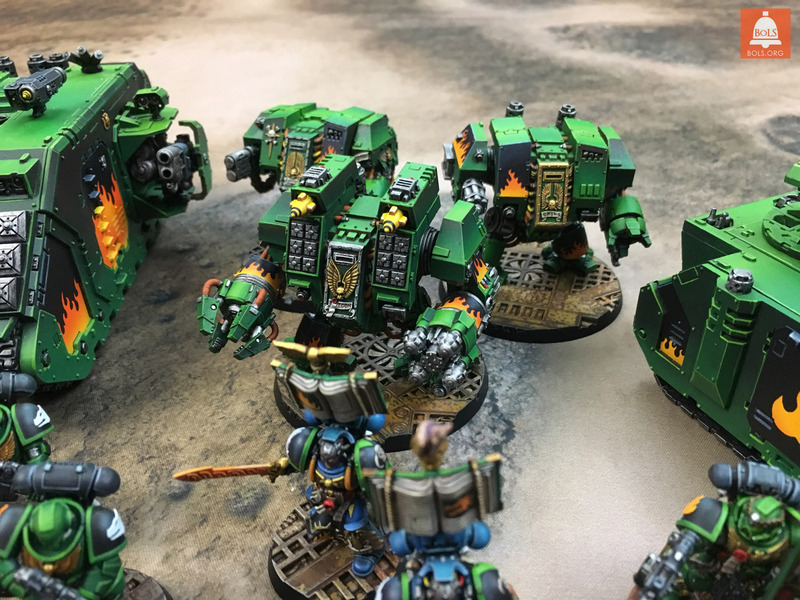 The green with orange accents makes for a striking color scheme as well. I hadn’t initially planned for the big loud flames on the vehicles but all those panels begged for some extra details. 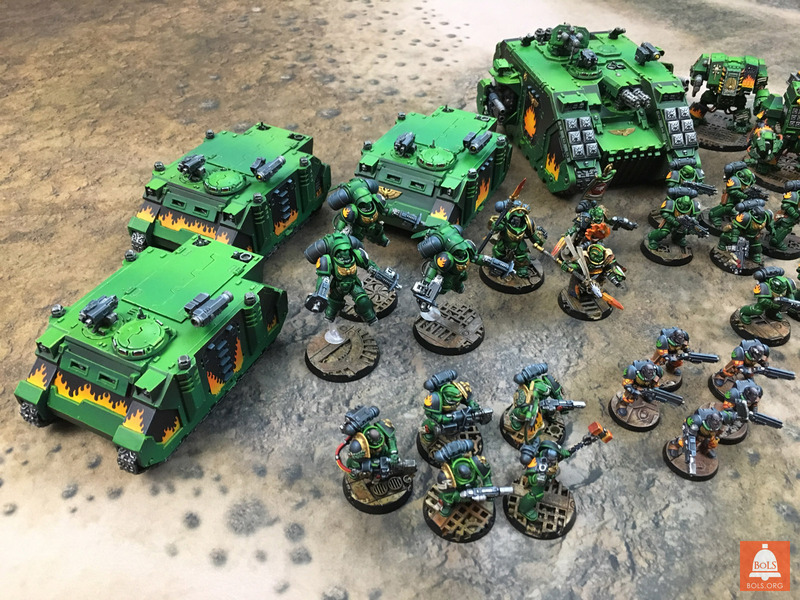 I’ve been working on this army since last October. This is the first project I’ve really used an airbrush on, and it has helped speed up the working time dramatically. 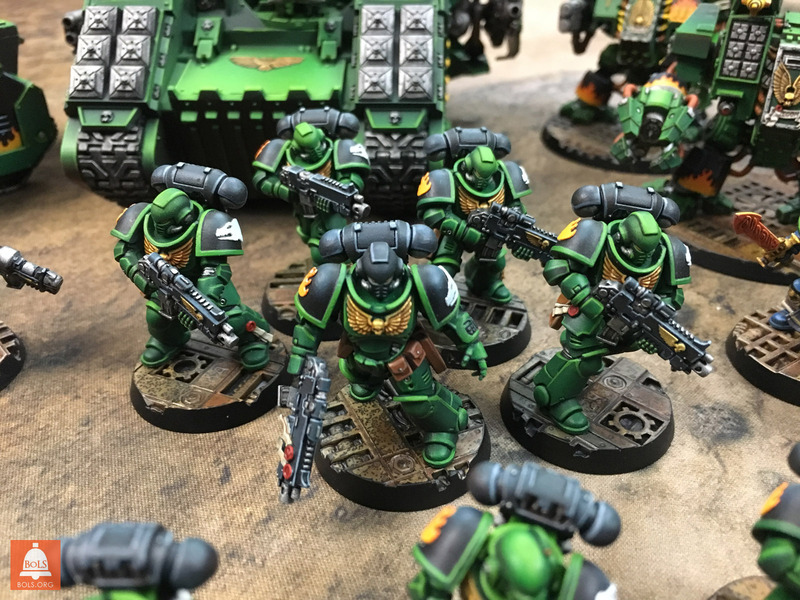 There are around thirty more marines not shown here since tactical squads all kind of look the same. 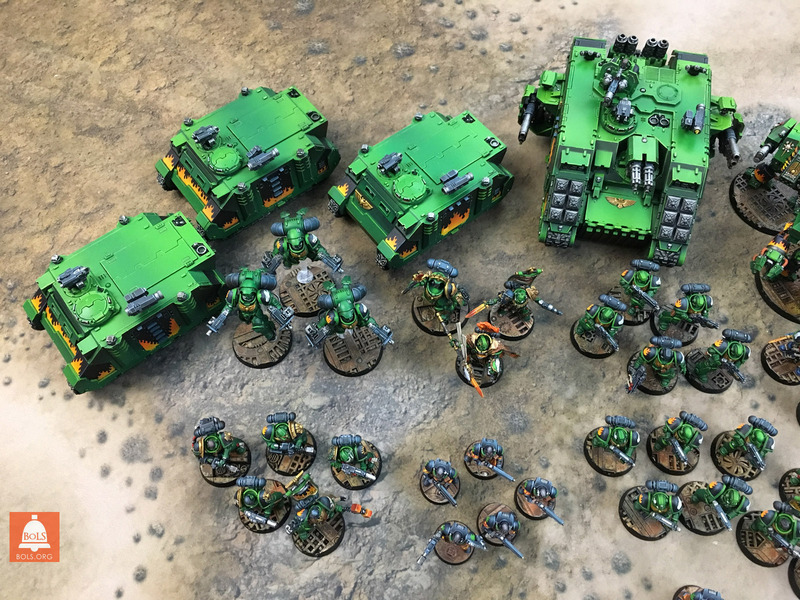 Especially with Salamanders who don’t use squad markings. 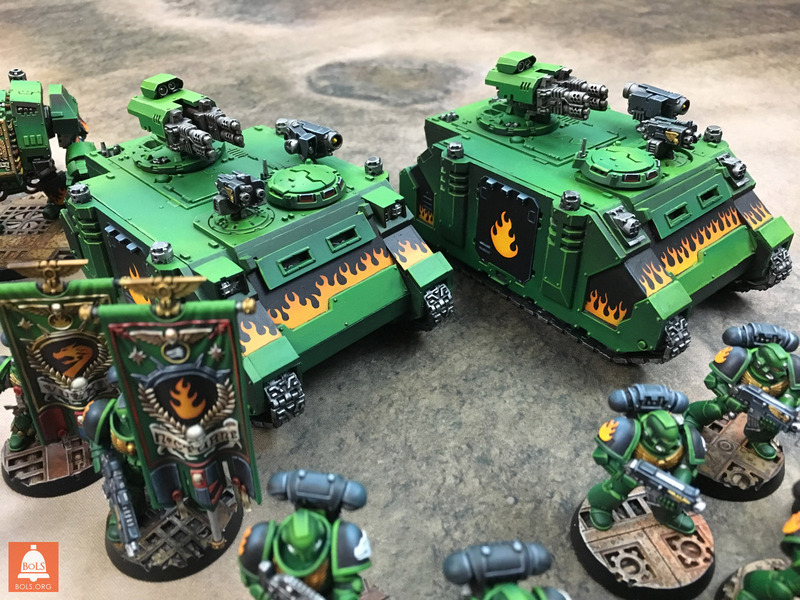 Speaking of those, all the salamander heads and flames on all the shoulderpads are made by myself using a laser cutter. ~Give it up for Gentleben! Amazing work!